1989 - Engineering Degree from �cole Nationale Sup�rieure d��lectricit� et de M�canique in Nancy (France), major in Mechanical Engineering. 1990 - Master of Science (DEA) in Mechanics and Thermodynamics from Institut National Polytechnique de Lorraine. 1994 - PhD (Doctorat) in Macromolecular Materials and Composites from Lyon University, France, obtained with the highest grade. 1998 - �Habilitation � Diriger les Recherches� (HDR) from Clermont-Ferrand University, France (French degree necessary to supervise PhD students and apply for a professorial position). 1994 - Lecturer at �cole Nationale Sup�rieure des Mines de Saint-�tienne (France), in the Mechanical and Materials Engineering Department led by Professor Georges Verchery and then by Professor Alain Vautrin. 1999 - Professor at �cole Nationale Sup�rieure d�Arts et M�tiers (ENSAM) in Ch�lons en Champagne (France). Head of the Mechanical Engineering and Manufacturing Research Group. 2004-05 - Sabbatical, Department of Aerospace Engineering, University of Bristol, UK. 2006 - Promoted to first class professor. Head of the "Identification from Full-Field Measurements" group within the Mechanical Engineering and Manufacturing Research Group (LMPF, certified by the French Ministry for Research) including 11 academic staff, 3 technical and administrative staff and 11 PhD students. PhD on the Iosipescu shear test for composite materials. Design of a new fixture and application to thick composites. 18 months spent at the University of Bath (UK). Work on the shear strength of composite materials using the Iosipescu and 10� off-axis tensile test (use of oblique tabs). Mechanical testing of composite materials: design of new tests and fixtures, optimisation of existing tests. Durability of composite structures: moisture effect and fatigue. Work on the prediction of the failure load of composite pin-joints. Design of composite structures: replacement of metallic systems by composite components (function integration). Collaborations with companies in the automotive and railway industry. Development of the Virtual Fields Method (identification technique dedicated to full-field measurements). Application of the VFM to different situations: anisotropic elasticity, heterogeneous materials, elasto-plasticity, wood, vibration damping, high strain rate testing etc. Measurement of thermal dissipation in cyclically tested materials using infrared thermography. 3 years at the University of Bath as an undergraduate (exchange student) and postgraduate (European grant for PhD). Director of ENSAM double degree programme with the UK and Ireland (MSc level). Broad experience of undergraduate student exchanges (ERASMUS/SOCRATES, UK, USA, Germany etc.). 1 year sabbatical at the University of Bristol (UK), 2004-05. Wide range of international research collaborations (University of Bristol, University of Loughborough, GB, University of South Carolina, USA, UTAD, Portugal, etc.). GEC Alsthom and Alstom, Renault, Hexcel composites, Saint-Gobain, Ifremer, SNCF, ONERA, Astrium (UK), Airbus UK, GKN Technology (UK) etc. Co-Chairman and organizer of the �Composites Testing and Model Identification� (CompTest2003) conference held in January 2003 in Ch�lons en Champagne (France) � 100 participants from 15 countries. Invited editor for a CompTest2003 special issue of the journal �Composites Part A�. Co-Chairman of the �Composites Testing and Model Identification� (CompTest2004) conference held in September 2004 in Bristol (UK) � 140 participants from 25 countries. Co-Chairman of the �Composites Testing and Model Identification� (CompTest2006) conference held in April 2006 in Porto (Portugal). Co-Chairman of the �Composites Testing and Model Identification� (CompTest2008) conference held in October 2008 in Dayton (Ohio, USA). 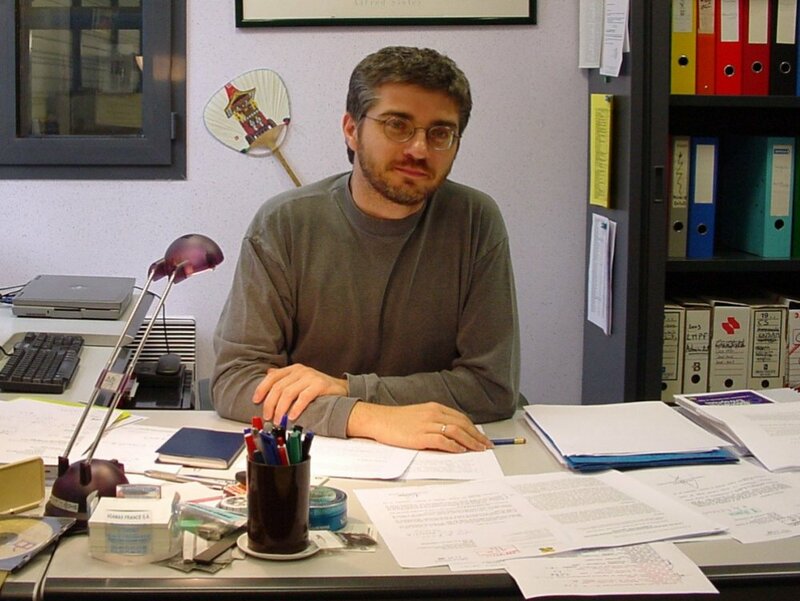 Co-chair of the organizing committee of the French Conference on Mechanics (1200 participants) held in Troyes in Sept. 2005. Leader of a French network on composites including 5 ENSAM research groups (2002-2005). Invited editor for the CompTest2003 and CompTest2004 special issues of the journal �Composites Part A� (Elsevier). Invited editor for special issues of Experimental Mechanics (Springer) on Inverse problems and Composites Part A (Elsevier) on full-field measurements applied to composites, 2006-2007. Regular reviewer for Composites Science and Technology, Composites Part A (Elsevier), Journal of Composite Materials (Sage), Experimental Mechanics (Springer) etc. Composites Science and Technology, vol. 52, n� 1, pp 61-72, 1994. Pierron F., Vautrin A., Harris B. Experimental Mechanics, vol. 35, n� 2, pp 130-136, 1995. Composites Science and Technology, vol. 56, n� 4, pp 483-488, 1996. Composites Science and Technology, vol. 57, n� 12, pp 1653-1660, 1997. Journal of Composite Materials, vol. 31, n� 9, pp 889-895, 1997. Experimental Mechanics, vol. 37, n� 1, pp 11-12, 1997. Pierron F., Alloba E., Surrel Y., Vautrin A.
Composites Science and Technology, vol. 58, pp 1939-1947, 1998. Journal of Composite Materials, vol. 32, n� 22, pp 1986-2015, 1998. Discussion of the article "Biaxial testing of unidirectional carbon-epoxy composite using biaxial Iosipescu test fixture"
Journal of Composite Materials, vol. 33, n� 8, pp 683-687, 1999. Composites Part A: Applied Science and Manufacturing, vol. 32, n� 12, pp. 1713-1725, 2001. Pierron F., Poirette Y., Vautrin A. Journal of Composite Materials, vol. 36, n�19, pp. 2219-2244, 2002. El Mansori M., Pierron F., Paulmier D.
Surface and Coatings Technology, vol. 163-164C, pp. 472 - 477, 2003. Comptes rendus M�canique, vol. 331, n� 4, pp. 259-264, 2003. Composites Part A: Applied Science and Manufacturing, vol. 35, n� 7-8, pp. 841-848, 2004. Ghidossi P., El Mansori M., Pierron F.
Composites Part A: Applied Science and Manufacturing, vol. 35, n� 7-8, pp. 989-999, 2004. Xavier J.C., Garrido N.M., Oliveira M., Morais J.L., Camanho P.P., Pierron F.
A comparison between the Iosipescu and off-axis shear test methods for the characterization of Pinus Pinaster Ait. Composites Part A: Applied Science and Manufacturing, vol. 35, n� 7-8, pp. 827-840, 2004. Journal of Sound and Vibration, vol. 284, n� 3-5, pp. 757-781, 2005. Moulart R., Avril S., Pierron F.
Composites Part A: Applied Science and Manufacturing, vol. 37, n� 2, pp. 326-336, 2006. Chalal H., Avril S., Pierron F., Meraghni F.
Composites Part A: Applied Science and Manufacturing, vol. 37, n� 2, pp. 315-325, 2006. Composites Science and Technology, vol. 66, pp. 1857-1872, 2006. Pannier Y., Avril S., Rotinat R., Pierron F.
Experimental Mechanics, vol. 46, n� 6, pp. 735-755, 2006. Giraudeau A., Guo B., Pierron F.
Experimental Mechanics, vol. 46, n� 6, pp. 777-787, 2006. Pierron F., Green B., Wisnom M.R. Composites Part A: Applied Science and Manufacturing, vol. 38, pp. 2307�2320, 2007. Pierron F., Green B., Wisnom M.R., Hallett S.R. Composites Part A: Applied Science and Manufacturing, vol. 38, pp. 2321�2332, 2007.
International Journal of Solids and Structures, vol. 44, pp. 4978-5002, 2007. Comptes rendus M�canique, vol. 335, n� 3, pp. 168-174, 2007. Pierron F., Vert G., Burguete R., Avril S., Rotinat R., Wisnom M.
Strain: an International Journal for Experimental Mechanics, vol. 43, n� 3, pp. 250-259, 2007. Kim J.-H., Pierron F., Wisnom M., Syed-Muhamad K., Identification of the local stiffness reduction of a damaged composite plate using the virtual fields method, Composites Part A: Applied Science and Manufacturing, vol. 38, n� 9, pp. 2065-2075, 2007. Xavier J., Avril S., Pierron F., Morais J.L. Holzforschung, vol. 61, pp. 573-581, 2007. Moulart R., Rotinat R., Pierron F., Lerondel G.
Optics and Lasers in Engineering, vol. 45, n� 12, pp. 1131-1147, 2007. Avril S., Pierron F., Pannier Y., Rotinat R.
Experimental Mechanics, vol. 48, n� 4, pp. 403-419, 2008. Avril S., Huntley J.M., Pierron F., Steele D.D. Experimental Mechanics, vol. 48, n� 4, pp. 479-494, 2008. Sutton M.A., Yan J., Avril S., Pierron F., Adeeb S.M. Experimental Mechanics, vol. 48, n� 4, pp. 451-464, 2008. Avril S., Bonnet M., Bretelle A.-S., Gr�diac M., Hild F., Ienny P., Latourte F., Lemosse D., Pagano S., Pagnacco E., Pierron F.
Experimental Mechanics, vol. 48, n� 4, pp. 381-402, 2008. Avril S., Pierron F., Yan J., Sutton M.
Mechanics of Materials, vol. 40, n� 9, pp. 729-742, 2008. Mechanics of Materials, vol. 41, n� 8, pp. 928�942, 2009. Moulart R., Rotinat R., Pierron F.
Mechanics of Materials, vol. 41, n� 11, pp. 1207-1222, 2009. Commin L., Rotinat R., Pierron F., Masse J.-E., Barrallier L.
Materials Science and Technology, 2009. Accepted. Composites Part A: Applied Science and Manufacturing, 2009. Accepted. Xavier J., Avril S., Pierron F., Morais J., Lousada J.
Kim J.H., Pierron F., Wisnom M., Avril S.